Back in fall 2008 — an eternity by mobile standards — I wrote about a fun little iPhone chess game called Chess With Friends. The game hit the App Store at a time when there were at least fifteen similar apps on the market, but it had one key differentiator: it tapped into the iPhone’s network effect to let you challenge your friends at a time when the vast majority of applications ignored the iPhone’s Internet connection. Eight months later, the small company behind Chess With Friends released the next game in the series, a Scrabble-like app that has since gone on to become a smash hit. It’s called Words With Friends. I sat down with brothers Paul and David Bettner, two of the founders of ‘Words‘ development house Newtoy, to get the back story on how the game grew to such popularity and where they’re going next. The premise of ‘Words‘ is simple: you fire it up and are playing a Scrabble-like word game against one of your friends in seconds. There’s no single player mode — the entire experience is built around multiplayer. And that formula has proven to be golden: the app now has over 1.6 million daily active users who average a full hour of playing every day. It has been on Apple’s top grossing list for four months running and serves over 1.5 billion ad impressions every month. Between the freemium ad-supported app and the paid version (which sells for $2.99), the game is making quite a bit of money, though the brothers wouldn’t get into specifics. Chess With Friends did fairly well by 2008 standards, but it was hardly the hit that ‘Words‘ later went on to become. Still, it was popular enough that the Newtoy team had to devote more time than they would have liked to ensure their servers could keep up with demand. Their followup game was put on the back burner. 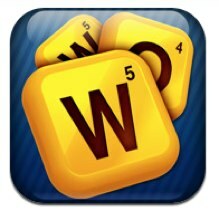 Finally, in July 2009, the studio released Words With Friends. At the time they had no idea it would become a hit — they took a small $200K seed round from friends and family and started working on an ngmoco title called We Rule (which they didn’t own full rights to) to make sure they could keep paying the bills. As they worked on We Rule, Words With Friends did fairly well but wasn’t exactly surging. And then John Mayer happened. On October 5 2009, Mayer tweeted that Words With Friends “is the new Twitter” (the Newtoy guys say they didn’t have anything to do with it). 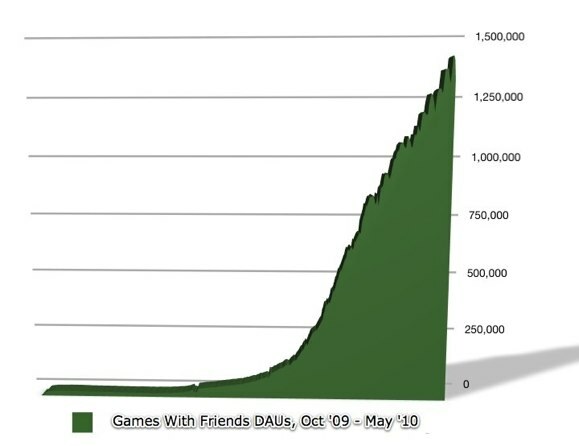 The application promptly surged in popularity, and has since ridden on its inherent virality to grow to where it is today — as more players signed up, they’d tell their friends to join so that they could play each other (remember, the game is multi-player only). The Bettners say that the application had already started to hit an inflection point in growth before the Mayer tweet, but there’s no doubt that he gave it a major push in the right direction. The ‘With Friends’ series has now seen 6.5 million downloads. 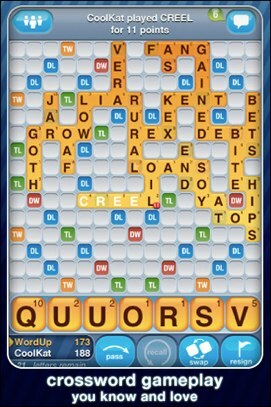 Of course, Words With Friends was hardly the first such word game on the market, so how did it catch on? The Bettners chalk this up to the user experience. Whereas the official Scrabble iPhone app forced users to trudge through a few menus before they could access its multiplayer features, Words puts your multiplayer games front-and-center. You can boot up the app and be in a game in just a few seconds, which the Bettners say is key. Success has come with a few hurdles, though, namely that Newtoy has to deal with a massive number of moves every day (players have cumulatively made over 1 billion moves). In some ways, this has held Newtoy back. Anyone who has played Words With Friends can probably tell you that adding friends in the game is a pain — instead of hooking into Facebook Connect, users have to manually type in their friends’ aliases, which is the sort of mechanic you might have expected a few years ago but feels woefully out of date now. There’s no Facebook application or web presence of any kind, so you have to make all of your moves from an iPhone or iPad. And the game isn’t available on any other mobile platforms like Android. When I pointed out these shortcomings to the brothers, they repeatedly responded “We know! We’re working on it!”. I couldn’t get a hard timeframe out of them, but it sounds like Facebook Connect will be coming first, followed by some kind of web app, with an Android version at some point in the not particularly near future (lame). But the brothers also point out that Apple is planning to release GameCenter, a social gaming network that is being built directly into iOS, which should be even easier to use than Facebook Connect. Looking forward, the Bettners say that they have more games in the works as part of the ‘With Friends’ franchise, and they’ll be able to nudge their current userbase toward the new apps. When I pushed for more details on these games they declined, explaining that they’re “sort of like Apple when it comes to new games”. I think they’ve still got a ways to go when it comes to secrecy though — I doubt Apple would have agreed to talk with me in the first place.